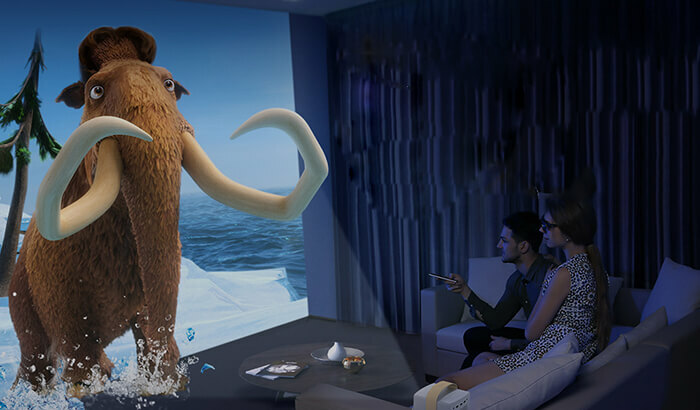 DLP projectors are incredibly versatile gadgets for building an outstanding home theater. 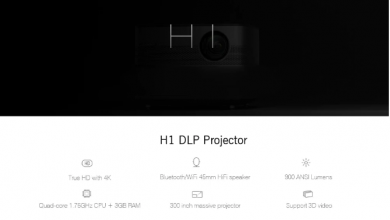 In this post, we take a look at 3 cool projector gadgets by XGIMI: the full-sized XGIMI H1, the mini XGIMI CC Aurora and the XGIMI DLP 3D glasses. 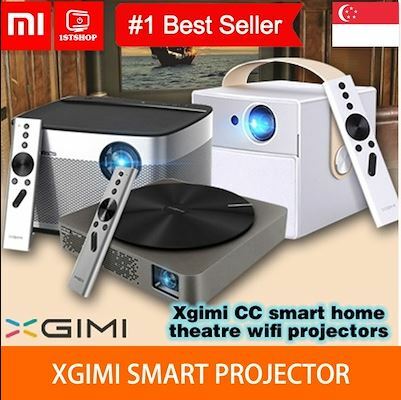 Ever since its establishment in May 2012, XGIMI has specialized exclusively in the developing, manufacturing and promotion of smart LED projectors. It is a young energetic team of R&D engineers and marketing gurus based in China’s panda capital — the beautiful city of Chengdu. It can be sure that XGIMI is on top of things when it comes to implementing all the latest tech advances into your immersive movie theater experience. First, you get the native resolution of 1920×1080 projected over a massive 300 inch display without sacrificing pixels or details. The 900 ANSI lumens provide a stunning viewing experience at any time of day — this means that you can enjoy some relaxing movie time without waiting for sundown or the need to chase every little bit of sunlight out of the room. With the lifespan of up to 30,000 hours, you get yourself a quality home theater — and for a long time. While $849 may seem like a hefty price tag, it is actually quote a steal if you consider that you are getting a complete home entertainment system. If you are looking for something less pricey and more portable, check out the XGIMI CC Aurora Portable Projector. Priced at $569, this mini projector promises to bring immersive audio and video performance in a compact size. Offering 720P HD quality video with 4K support, the maximum of 180-inches projection and equipped with JBL stereo speakers for high-quality audio, the Aurora may just live to its ambitious promise. The projector also runs on Android 5.1 and can be used with several Android apps. It is also compatible with Airplay and Miracast and can be connected to your other devices via WiFi or HDMI. The built-in 20000mAh battery offers a standby time of up to 8 hours — so you can actually enjoy several relaxed movie sessions without the need for a recharge. Featuring the MSTAR 6A638 Cortex-A53 dual-core processor, Mali-T720MP2 GPU, 1GB DDR3 RAM and 16GB eMMC flash memory, the mini projector is surprisingly powerful for its size and would make a great gaming platform. 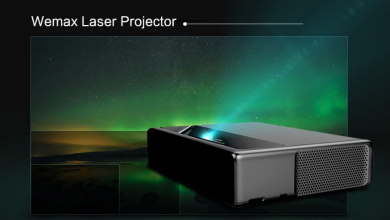 If you already are a lucky owner of XGIMI’s Aurora H1 projector, there is one small way in which you can make your experience infinitely better. The Original XGIMI Shutter 3D Glasses will let you watch the latest blockbusters in great quality and with mind blowing visual effects. With the built-in rechargeable 80mAh Li-ion battery, the glasses can work continuously for 80 hours on a single charge — so you can easily watch the whole movie without the need to recharge your glasses. The 178 degree wide view angle and the glasses’ larger size “enlarge” the projected screen to up to 10% and guarantee a wonderfully clear and complete watching experience from any angle. Lightweight and comfortable to wear, the glasses are a great accessory to have around both at home and at the office — for all those over-the-top presentations. So, there you have it. The XGIMI H1 is a great choice for setting up your home movie theater, the Aurora will work wonders as a mini cinema on-the-go and the XGIMI’s 3D Shutter glasses are a fun accessory to top it all off. And if you are still looking for more options when it comes to home or office projecting.